Corn on the Cob painting: Roll corn on the cob in paint, then roll on paper. Makes a really neat design. Corn art: Put about a cup of unpopped popcorn in a knee high stocking and tie the stocking in a knot. Holding the top of the stocking, dip the corn in paint and “bounce” it on your paper. Makes a beautiful print and can be used for any season. After my children had taken the corn off of 10 pounds of feed corn (sensory table), we used the cobs to paint. I put out purple, red, yellow and brown on large paper plates so that is was easy to roll the cob in. I then encouraged them to roll all over a large sheet of paper. When the paint was dry, I let them trace around an ear of corn shape three times. After they had cut their three ears out, I stapled it at the top in a fan arrangement. Next, we added about 6 inches of raffia and a paper twist bow at the top. What a great fall decoration and the children enjoyed making new colors when they rolled their corn cobs into different colors. Cut out large shapes of a corn cob out of poster board and let the kids paint yellow (or use yellow poster board) and then let the kids glue on unpopped popcorn. My kids used stripes of green and glued on top for the husks, but you could use scrap material, ribbon, tissue paper, or leftover Easter grass. 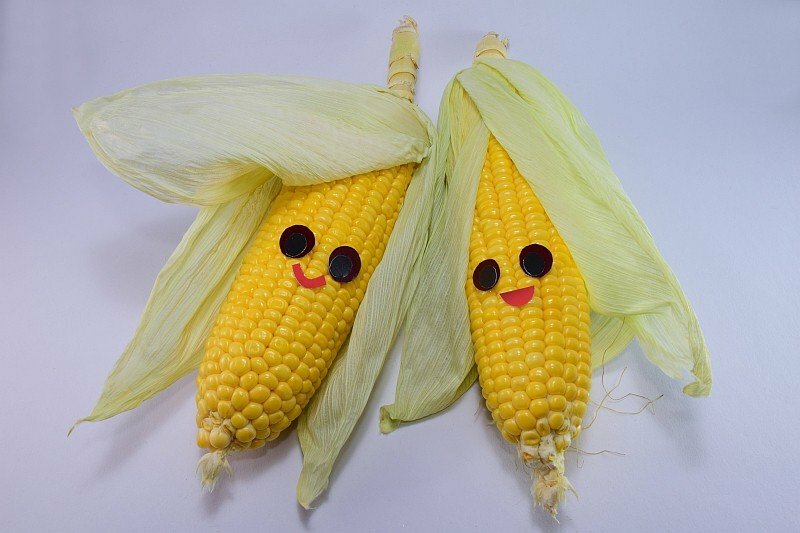 Great corn art project!